Avengers 4 Ending Rumor Reveals Fate of the Original Avengers? Now that Avengers 4 has hit theaters, fans are eagerly awaiting the last three movies that will make up Phase Three of the Marvel Cinematic Universe, Ant-Man and the Wasp on July 6, Captain Marvel on March 8, 2019 and Avengers 4 on May 3, 2019. 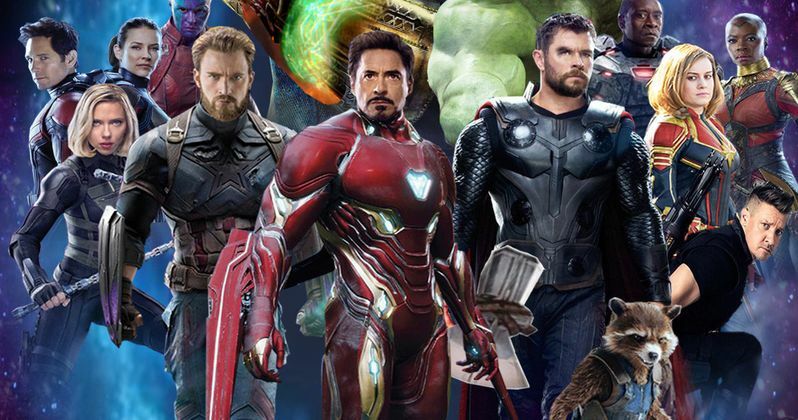 While it remains to be seen when we'll get our first look at Avengers 4, a new rumor has surfaced, with a Reddit user noticing that a post on 4chan gives away the rumored Avengers 4 ending. The Reddit user admitted he would have normally written this off, "but the fact that it got taken down so quickly is suspicious." While these details below have not yet been confirmed, they do represent potential SPOILERS, so please read on at your own risk. Here's the rumored ending to Avengers 4, which ties into a device seen in previous Avengers 4 set photos. "The device seen in leaked set photos allows the user to harness the power of the infinity stones. After defeating Thanos, each original avenger is left with an infinity stone and a choice. Cap uses the time stone, returning to peggy and living out his life with her. Thor uses the soul stone, returning his brother from the dead, they rebuild asgard on earth. Bruce uses the mind stone, and separates himself from hulk. They say their farewell and exchange a heartwarming hug. Ant-man, who refuses the reality stone, selflessly gives it to wanda, who uses it as a new power source for Vision. Finally Tony is left with the power stone, vowing not to weaponize something so powerful, he destroys it and snorts the remains." The Reddit user claims, "the last part is probably a joke," but also notes how this rumor makes no mention of two original Avengers, Hawkeye (Jeremy Renner) and Black Widow (Scarlett Johansson), nor the space stone. The Reddit user posits that it's possible Hawkeye dies in the movie and Black Widow uses the space stone to go on an adventure with Bucky Barnes/White Wolf (Sebastian Stan). It's also possible that perhaps the space stone was used in some way to defeat Thanos (Josh Brolin), rendering it broken or useless. If this is true, there would be more than two Avengers that survive, but intriguingly, only two that could remain as active Avengers, Tony Stark (Robert Downey Jr.) and Black Widow. Here's a segment from the post by Reddit user "JadedCuntsicle," offering this person's interpretation of the rumor. "This would be consistent with the "only two Avengers survive" rumour if we use the "only two Avengers stay active" interpretation. Cap and Hulk would be out of commission, Thor would be busy ruling, and presumably Hawkeye would re-retire (if he survives). Which would leave Tony (new SHIELD director?) and BW." This rumor doesn't shed any light on whether or not any of the heroes who were disintegrated at the end of Avengers: Infinity War will be resurrected at all, but that is one of the more popular rumors and theories surfacing after Avengers: Infinity War was released in theaters. You can head over to Reddit to see how others have responded to this theory.